Startup Iceland - Building a vibrant, sustainable and antifragile entrepreneurial ecosystem in Iceland - Project Solaris – How to break the fossil fuel cycle? Project Solaris – How to break the fossil fuel cycle? Renewable energy investments always take a major blow when the world economies slow down, the reason is fossil fuels are very cheap compared to the renewable sources, when the factor cost of production is to be economical to continue to sustain a business all renewable energy ideas and plans get shelved. This renewable energy on, renewable energy off cycle has stopped progress in really developing a sustainable model of generating power from renewable sources. I have been working on a project although it is still in a very early stage on breaking from the downward cycle of building sustainable renewable energy sources. Even Mr.Warren Buffet is warming up to the idea of Solar, which was the fools gold until the last decade. Project Solaris is an initiative to establish amanufacturing company in Icelandfor components that are used to generate Solar Power. Solar power is the conversion of sunlight toelectricity. Sunlight can be converted directly into electricity using photovoltaic(PV), or indirectly with concentrating solar power (CSP), which normallyfocuses the sun’s energy to boil water which is then used to provide power. PVs are arrays of cells containing solarphotovoltaic material that converts solarradiation into direct current electricity.Materials presently used for photovoltaics include monocrystalline silicon, polycrystalline silicon, microcrystalline silicon, cadmiumtelluride, and copper indium selenide/sulfide. 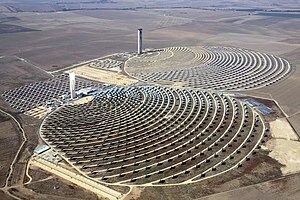 CSP systems use lenses or mirrors to focus a largearea of sunlight onto a small area. Electrical power is produced when theconcentrated light is directed onto photovoltaic surfaces or used to heat atransfer fluid for a conventional power plant. All the above materials used to produce solar powerare manufactured using energy. 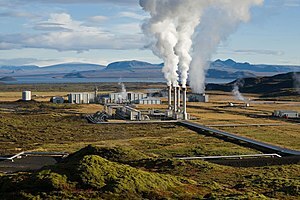 The company established in Iceland will use the renewable energy in Iceland fromGeothermal as well as Hydro sources to manufacture the above material toproduce more renewable energy. The concept is a renewable energy bootstrap. 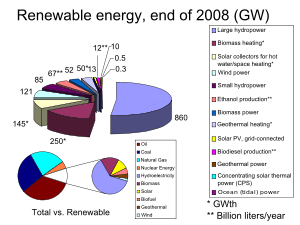 There is a growing demand for renewableenergy in the world; however there are places in the world like the Far Eastand developing countries where there is no energy or resource to produce thesecomponents or the energy used to produce these components is generated fromfossil fuel like coal or oil. This cycle prolongs the transition from fossilbased energy sources to renewable energy sources and increases the overall costof renewable energy. The company established in Iceland will aim to reduce the overall cost ofimplementing solar power plants through innovation in established technologiesand utilizing the vast energy resource in Iceland to produce solar componentsthat would make solar power affordable even in the developing world. The innovation in the idea is to split the manufacturing process into chunks that are cost effective in the respective region. The energy intensive part of the manufacturing would be done in Iceland and the labor intensive part would be done in India. This would break the challenge of reducing the cost to produce and transport solar components to markets where they are needed the most. The advent of the financial crisis in Iceland and the inherent excess energy capacityin Iceland has made Iceland theideal destination for investment and development of a company as describedabove. The company will focus on being the developer and manufacturer in Iceland, in addition a buyer and electricitygenerator in India.The value proposition is to be the owner and operator of the entire value chainof the solar power generation process.